I made my first visit to Wren's Nest yesterday. 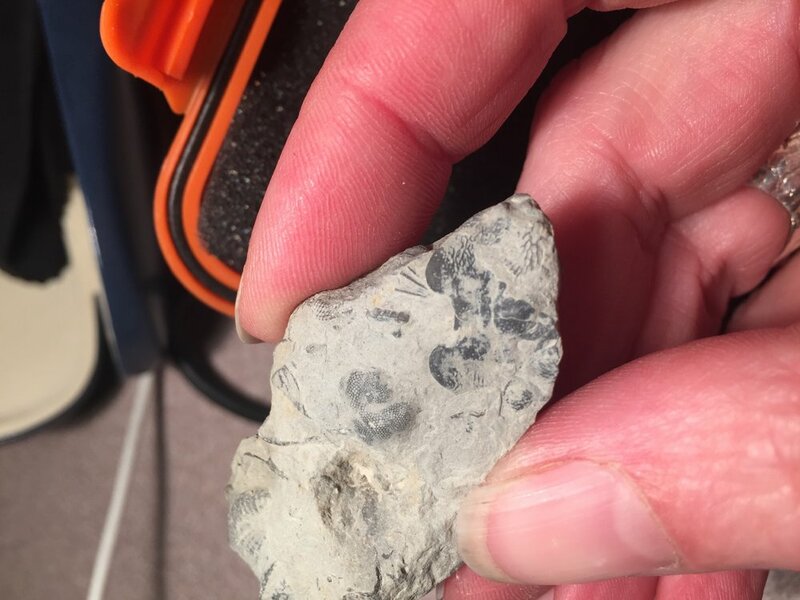 I still need to go through my finds but did well including some Dudley bugs (partial) and lots of coral and brachiopods. 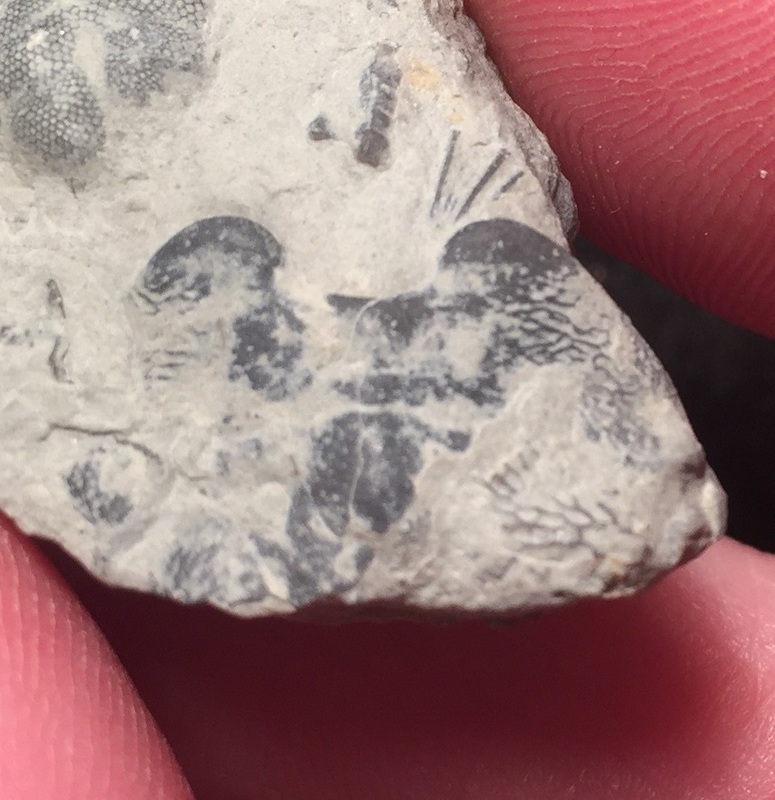 However this partial trilobite had myself and others stumped. If anyone can help with ID and cleaning up I'd be grateful (I don't have any professional prep kit like air abrader or air pen). 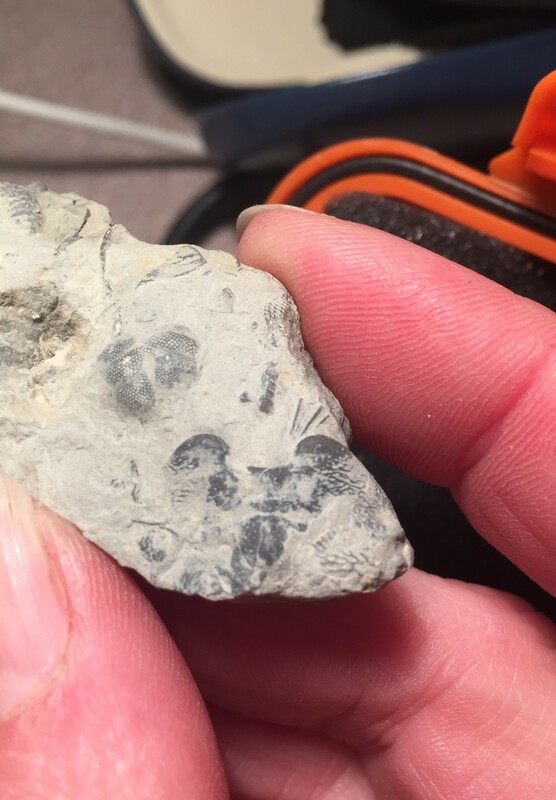 Trilobite at bottom right of first pic. Thanks! I'm not sure of the ID but I suspect you have a hypostome (mouth plate). These are less familiar to most collectors than the usual cephalia and pygidia, which may explain why the locals didn't recognize it. Compare with these Dudley lichids with similar hypostomes. The median body and terracing appears to match well with Platylichas grayii. Thank you Piranha; I think you are right. I really appreciate the help and the pictures are really useful. I've a lot to learn about trilobites but finding something interesting is always a great catalyst! I'll clean it up some more and post some better pics hopefully. Huge thanks. That's a cool find Sam. I like Wrens Nest and get there a few times a year living in Manchester. Never found a complete 'Dudley bug', a few partials tho. I have found some exceptional corals and bryzoa though.